For enterprises it has become crucial to check compliance of their business processes with certain rules such as medical guidelines or financial regulations. When automating compliance checks on process models, existing approaches have mainly addressed process-specific compliance rules so far, i.e., rules that correspond to a particular process model. However, in practice, we will rather find process-independent compliance rules that are nevertheless to be checked over process models. 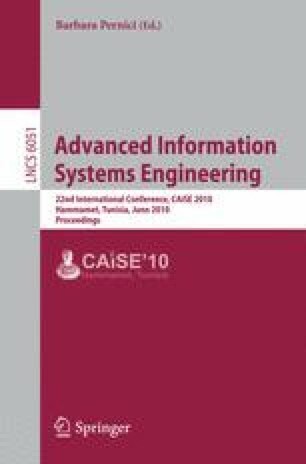 Thus, in this paper, we present an approach that enables the instantiation and verification of process-independent compliance rules over process models using domain models. For this, we provide an intuitive visualization of compliance rules and compliance rule instances at user level and show how rules and instances can be formalized and verified at system level. The overall approach is validated by a pattern-based comparison to existing approaches and by means of a prototypical implementation. This work was done within the SeaFlows project, which is funded by the German Research Foundation (DFG).